The Florida Gators basketball team poses for portraits for the media during the 2015 Gators media day. 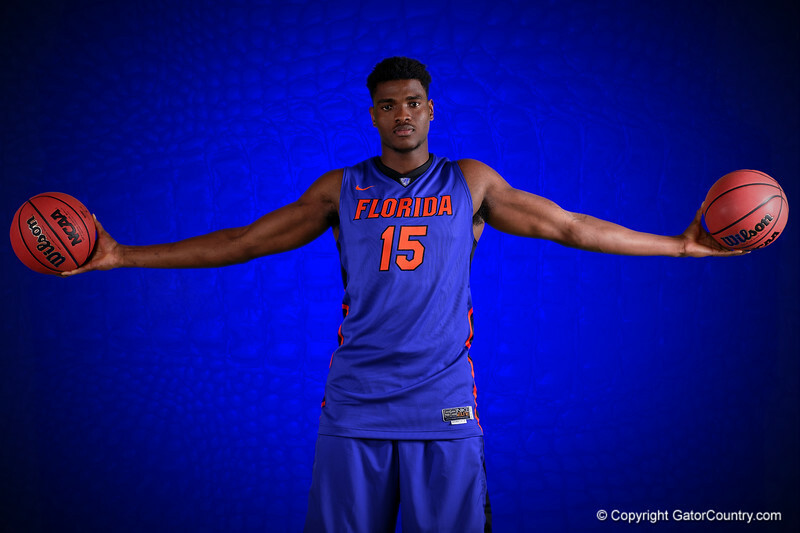 Florida Gators center John Egbunu poses for portraits during the 2015 Gators basketball media day. September 29th, 2015. Gator Country photo by David Bowie.